Immune system cell. Coloured scanning electron micrograph (SEM) of a lymphocyte cell, a type of white blood cell involved in the immune system. Lymphocytes are divided into either B-cells or T- cells. B-cells mature in bone marrow and are responsible for humoural immunity; they operate by recognising a specific site on the surface of a pathogen or foreign object (antigen), which they then bind to before producing antibodies to destroy that antigen. 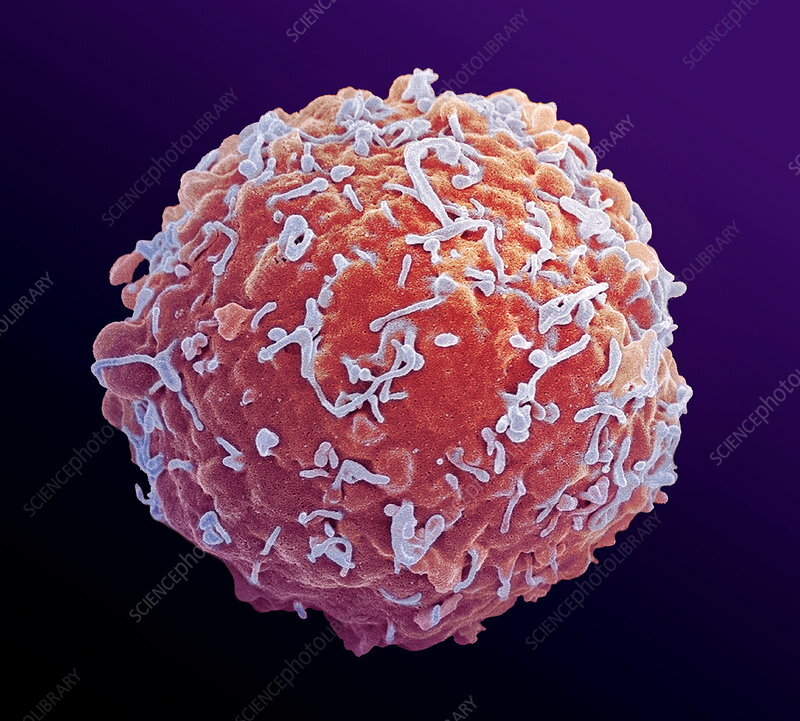 T-cells mature in the thymus and are involved in cell-mediated immunity, which does not rely on antibodies to fight antigens, but rather the activation of macrophages, NK-cells, cytotoxic T-lymphocytes and various cytokines.